Entertainers who sing on stage will want to be singing wearing a Champagne gold glitter tuxedo jacket that sparkles in the spotlight by After Midnight. 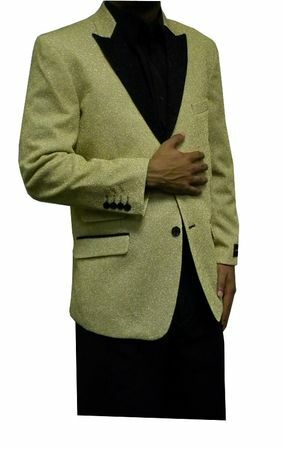 Featuring a gold glitter fabric that you just won't see everywhere, these sparkling tuxedo jackets will have you looking like the Temptations where ever you go. Bow tie is included for a complete Las Vegas ready look.